Our unique study guide has 100 questions broken down into four realistic tests. Each test includes answers with detailed explanations and tips to help you hone your skills and identify areas that need improvement. Get the practice tests that best fit your needs! Each test is crafted to test your understanding of the three most important areas of reasoning. Tests your ability to form new words and your comprehension of proverbs and idioms. Tests your understanding of math word problems, numeric series and probability. Tests your understanding of logical syllogisms, deductions and associations. Each test in our PDF comes with comprehensive answers and explanations that not only explains the answer, but provides tips to help you prepare for similar questions you might encounter in the future. Take one of our free online practice tests! 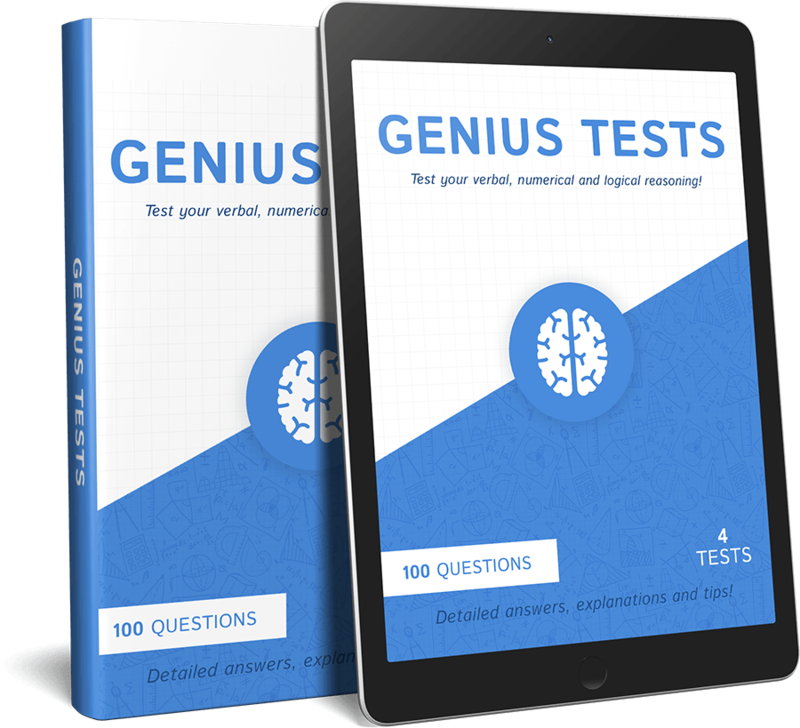 Get ahead of the curve with the 100 question IQ test practice guide!